200,000 subscribers! This whole week is a celebration of YOU and everyone who has helped this channel grow. This has been a wonderful three and a half years being able to show you what it’s like every day to make music! 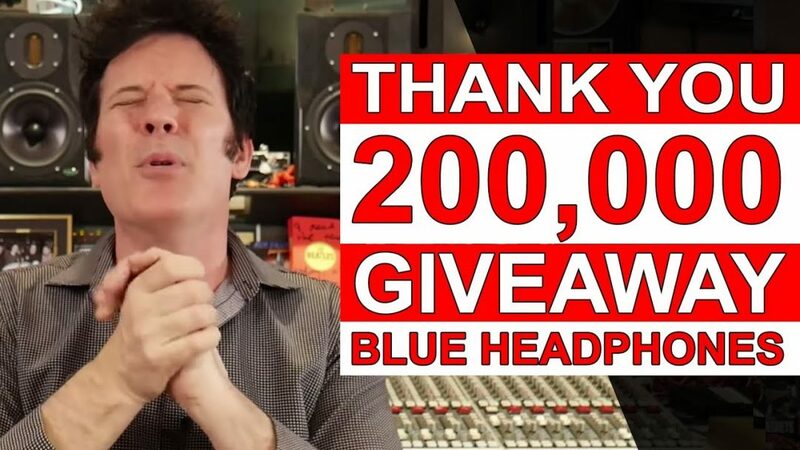 I would also like to thank Blue for giving us a pair of their Lola headphones to giveaway today! Eric and I use these headphones every day! I found out about these headphones thanks to Cameron Webb, Bob Horn and of course Dave Pensado who were all using them. Eric will print mixes for me, I’ll sit back, listen and make notes, and we’ll do edits together from there! We both use the same headphones so we can hear the same mixes! Pro Mix Academy is a collection of some of the best Producers, Engineers and Mixers in the World who have gotten together to give us an amazing look inside the Mixing, Production, Recording and Mastering process. Watch the video below to see a little snippet of the Bob Horn & Erik Reichers course that we filmed over 3 days. They produced a band from scratch and then mixed it!